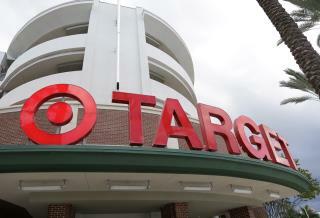 (Newser) – Target will spend $20 million trying to make sure everyone who needs to go to the bathroom at one of its stores feels comfortable, CNN reports. According to USA Today, Target suffered some backlash last spring when it announced it would allow transgender customers to "use the restroom ... that corresponds with their gender identity." In the wake of that backlash, the company announced this week it will install a third, single-person restroom to the few hundred US stores that don't already have one by March 2017. The single-occupancy restrooms can be used by anyone. "At the end of the day, Target is all about inclusion," a Target spokesperson tells CNN. "We want everyone to feel comfortable in our stores." i am 100% male! i would love to use the female bathroom! thanks caliph obama! poor target, first they are boycotted by the gay community for a political contribution. Then they are boycotted by the christian community because of a potty decision. They just can't win. It doesn't matter. THE DAMAGE HAS ALREADY BEEN DONE. It is all about TRUST and Target does not get my trust OR business anymore and neither does anyone else who accommodates perversion IN ANY FORM. STILL BOYCOTTING THEM. This is ALL ridiculous, stupid, ignorant, and ANTI-BIBLICAL.